For the production of carbon-neutral synthetic hydrocarbon fuels, CO2 is a critical raw material for which a variety of sources exist. Today, industrial ammonia production is amongst the most common sources for CO2 since the gas is generated as a by-product in a highly concentrated form. Further industrial sources of CO2 include coal and gas-fired power plants, as well as steel and cement production. As only high purity CO2 can be used for the production of synthetic fuels, industrial sites need to be equipped with dedicated carbon capture technology. 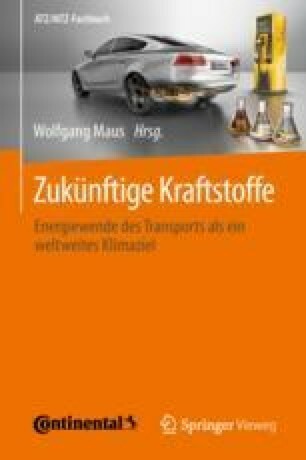 What’s more, such industrial CO2 sources do not allow for the recapturing of CO2 from the atmosphere once the synthetic fuels are consumed in the transportation sector. This means the carbon cycle cannot be closed using this method. A viable alternative for sourcing CO2 is highly concentrated, high purity CO2 captured directly from the atmosphere through a process called direct air capture (DAC). Of all possible CO2 sources, only biogenic sources and direct air capture allow for the carbon cycle to be sustainably closed and thus reach truly climate-neutral transportation with internal combustion engines. A further advantage of CO2 captured from air is that food security is neither interfered with nor put at risk. As such, direct air capture is considered one of the most feasible and promising CO2 sources for the production of synthetic fuels .